﻿ TAX SEASON INFO - Glisson Accounting & Tax Group, P.C. 1040-EZ is only $85.00 with a student ID. Tax prep fees can be deducted from the refunds, so no up-front payment is needed! 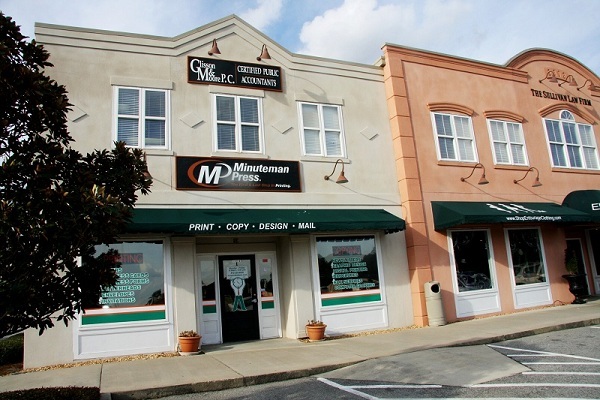 We are located at 100 Brampton Ave. Suite 2E in Statesboro, adjacent to Jimmy John's. To visit us, simply enter the double doors to the right of Entourage then use the stairs or the elevator to find us on the second floor. You can also send us your tax documents online by using the information at the bottom of this page. We can also prepare W-2's and 1099's for your businesses. Don't have time to come by one of our two locations? No problem! Send an e-mail to dana@glissonmoorecpa.com and a client portal will be setup for you to scan & securely send your 2017 tax documents to us.